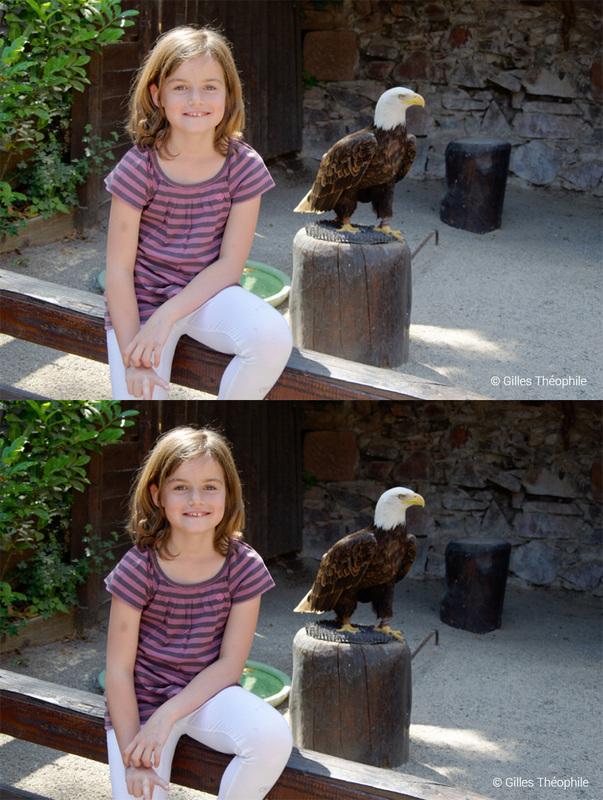 Even though most DSLRs are equipped with a selective metering mode that can accurately expose faces or particular points in an image, nearly all of us tend to stick to evaluative metering mode, which runs the risk of ending up with faces that are not correctly exposed (which is hard to make up for in post-processing). 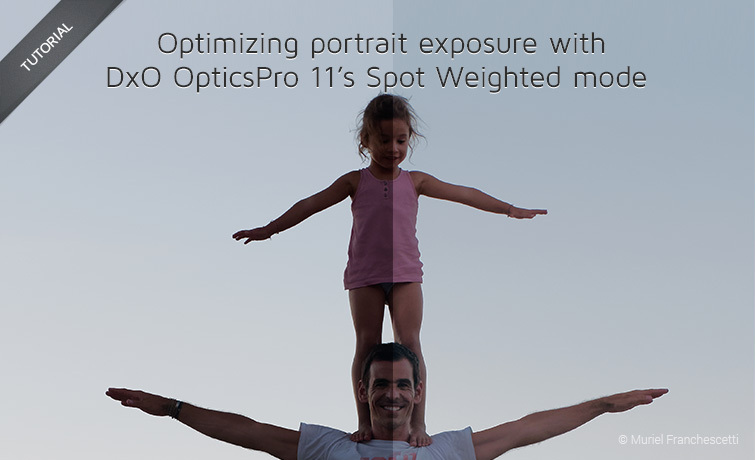 That is why DxO OpticsPro 11 offers Spot Weighted mode, which combines automatic face detection and DxO Smart Lighting to optimize the exposure of the principal subject without changing the rest of the image. In this tutorial, we will see how the Spot Weighted mode works and how to use its different tools, before moving on to concrete examples, depending on frequently-encountered lighting situations. 1 – What is Spot Weighted mode? 1- What is Spot Weighted mode? DxO OpticsPro 11’s Spot Weighted mode works in conjunction with DxO Smart Lighting, the software’s automatic tone correction system. 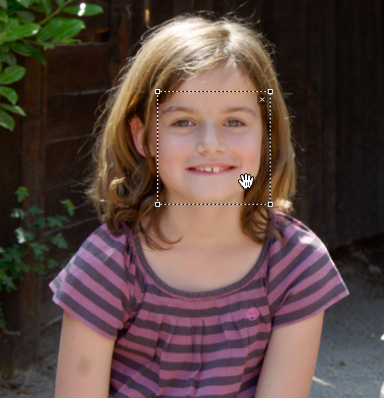 Once you enter Spot Weighted mode, it relies on face detection to optimize the exposure without altering the rest of the image, achieving natural-looking and balanced results. Operation is fully automatic, but of course you have the ability to make changes, either by modifying the areas of interest (the facial detection frame), or by adjusting the different levels of DxO Smart Lighting. 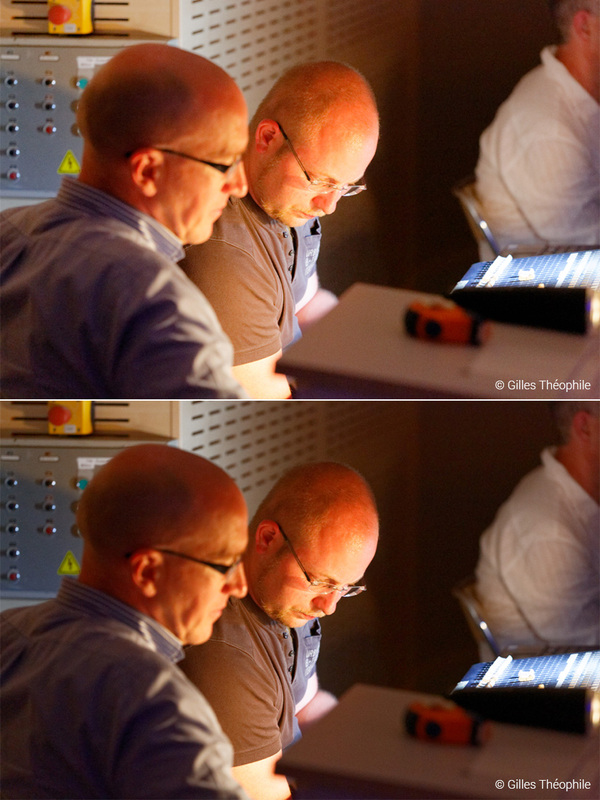 Correctly-exposed faces: The look of the faces are preserved and DxO Smart Lighting only corrects the background. 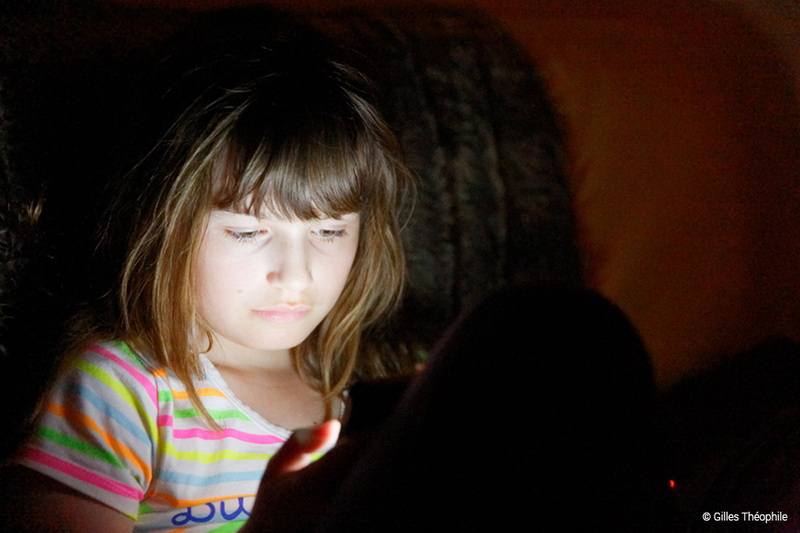 Incorrectly-exposed faces: Spot Weighted mode improves the exposure of faces while DxO Smart Lighting corrects the background. DxO Smart Lighting correction in Uniform mode / Correction with Spot Processing. As with all of DxO OpticsPro’s tools, Spot Weighted mode produces the best results on RAW files, and the processing is non-destructive. You will find Spot Weighted mode in the DxO Smart Lighting palette in the Essential Tools palette, as well as in the Light palette.
. If areas of interest (that is, faces) are detected, the number of areas will be displayed next to the Tool icon. The DxO Smart Lighting sub-palette with Spot Weighted mode activated. Display of the area of interest in the image. If you want to change where the corrections appear. If no area of interest is automatically detected. Activate the area of interest frame: Put the mouse on the frame (which has dotted lines). Move the frame: Put the mouse in the center (the cursor will turn into a hand), and then drag the frame to the desired area. Change the size of the frame: Use the mouse to grab a corner of the frame to resize. Delete the frame: Place the cursor in the frame, the click on the X that appears in the upper right. 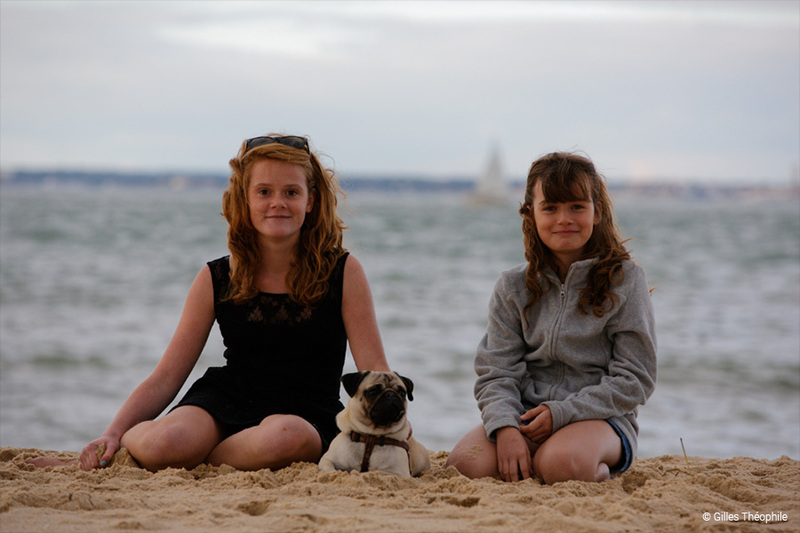 Create a frame: Click in the image and then make the frame the size you want. Changing the size of the frame. In the second situation, no area of interest is detected, so a yellow triangle accompanied by a warning appears to the right of the tool icon. In this case, you can manually indicate the areas of interest in the image, and Spot Weighted mode will function the same as in automatic mode (see part 4 for an example). Indication that no area was detected. Drawing a frame by hand. 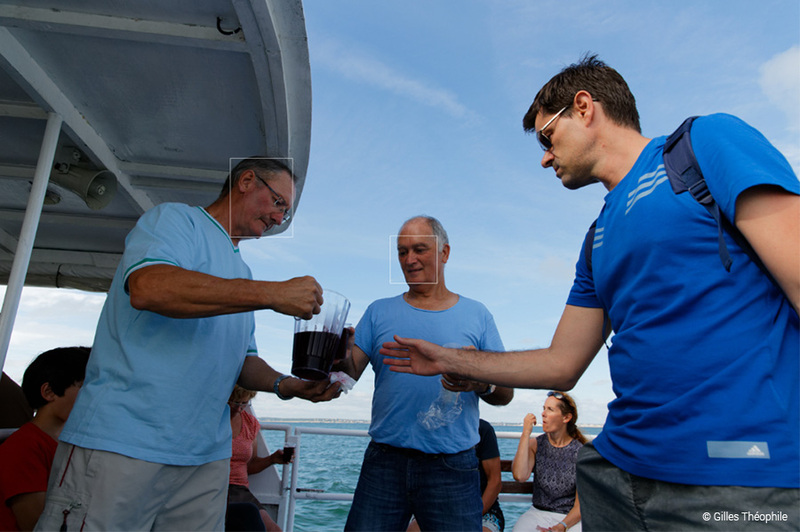 While Spot Processing is activated, a toolbar is visible underneath the image. This toolbar is where you can activate or deactivate the frame, reset, or close the tool. Even if someone’s face is well-lit, there can still be a slight imbalance in exposure, particularly with respect to the background. Here are some possible cases: a bright face on a bright background, a bright face on a dark background, or the reverse. Whether in automatic mode or manual mode, Spot Weighted mode provides a quick and efficient solution. In this case, the effects of Spot Weighted mode will be very subtle, and you can adjust the settings from Slight to Strong in Uniform mode and compare the results in order to obtain the best possible result. Below, both the image and the faces are well-exposed, the camera module not having been misled by the blackboard. The two faces were detected, as indicated in the sub-palette, and the Spot Weighted mode, set to Slight by default, preserved the facial exposure, whereas DxO Smart Lighting added more contrast to the background. Preserving facial exposure in front of a dark background. Conversely, in this photo, the background is very bright, but the face is nonetheless quite well-exposed. By activating Spot Weighted mode, and by choosing the Slight to Strong settings, you can see that the face is only a little bit affected, while the background changes. 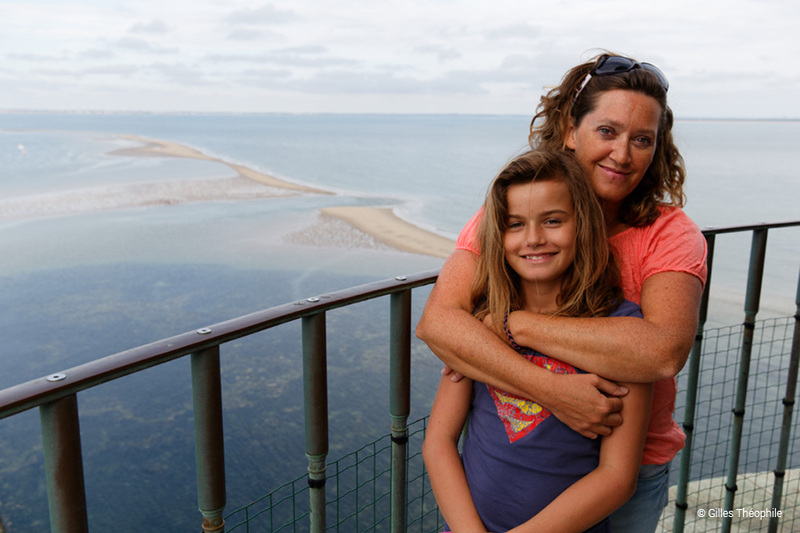 Image corrected with DxO Smart Lighting in Uniform mode (Slight and Strong settings). 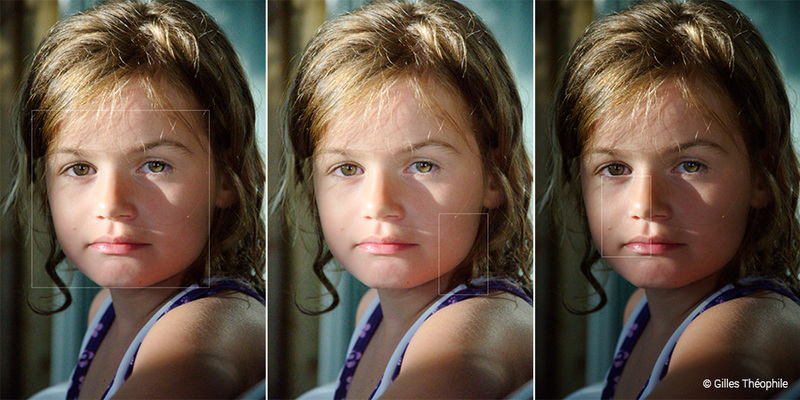 Preservation of facial exposure in front of a bright background (Slight and Strong settings). In this section, we will see how Spot Processing works with poorly-exposed images: too-bright faces against a dark background, or just generally under-exposed. In this photo, the face is much too bright, but it is not overexposed. 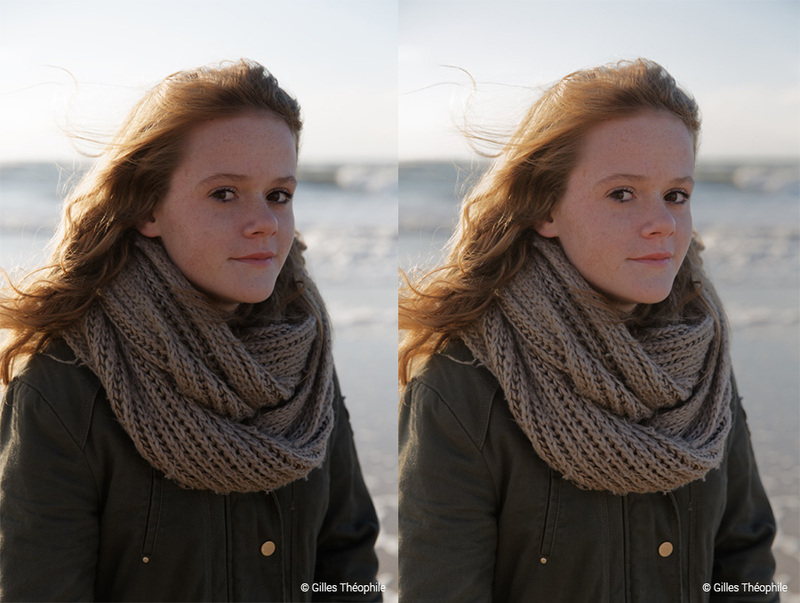 If you use one of the Uniform mode settings — Light, Medium, or Strong – you will recover some of the details of the face, and the background will get lighter. In Spot Weighted mode, the background will get lighter when you intensify the setting, but it will also recover many more facial details. Recovery of facial details in Uniform mode. Recovery of facial details using Spot Processing. This photo is too dark, the camera having been fooled by the bright background. In Uniform mode, the subjects stay dark, even when set to Medium. The same setting in Spot Weighted mode lets you brighten up the two faces. Correction in Uniform mode (Medium). Correction using Spot Processing (Medium). Spot Weighted mode is also very useful for dealing with even more complicated images, such as when a face is half in sunshine and half in shadow, or in profile, etc. Here we will see how to manually define areas of interest. This is a very pleasant snapshot, even though the lighting is not evenly distributed. While Uniform mode would lighten the shadows, Spot Weighted mode will be act far more subtly so as to preserve the ambiance. 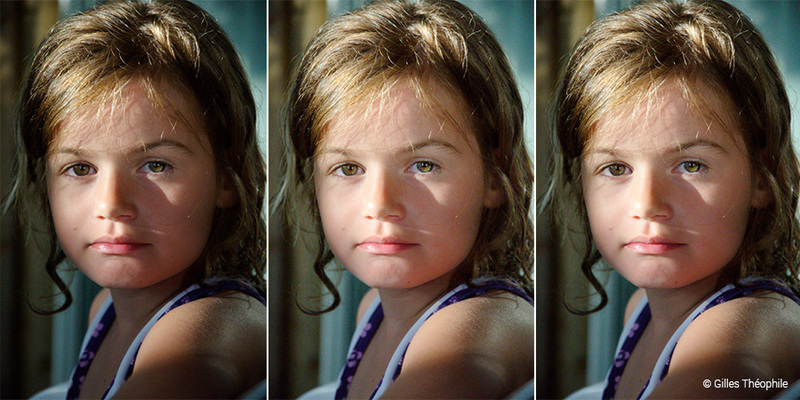 Original image, DxO Smart Lighting Uniform mode (Medium), Spot Processing (Medium). Click on the tool icon in the DxO Smart Lighting sub-palette. Grab a corner of area of interest frame, and adjust its size. Place the frame into the part of your image that you want the exposure calculations to take into account (if you put it in a dark zone, the framed part of the image will brighten, and conversely for a frame placed in a bright area). Select the setting (Slight, Medium, or Strong) whose results suit you best. 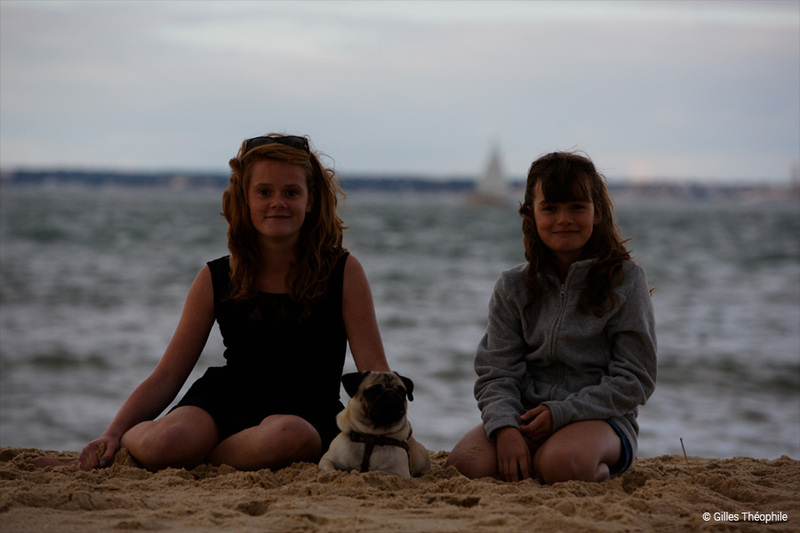 Before/after moving the area of interest into a darker area, and then into a bright area of the image (Medium setting). In the DxO Smart Lighting sub-palette in Spot Weighted mode, click on the tool icon. With the mouse, draw as many frames as necessary in the image (the algorithms will calculate the correct exposure for each area of interest). Set the intensity of the correction in the Mode menu. 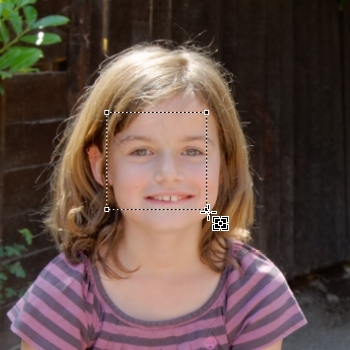 Spot Processing correction with just one face detected. After adding a second area of interest. Of course, you can also try the Uniform mode, with different results (sometimes very subtle under certain circumstances), making manually-drawn areas of interest irrelevant. You can also override the automatic corrections and adjust them by using the Intensity slider. 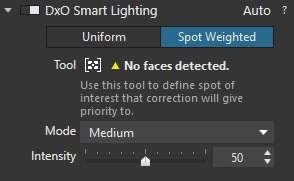 If a face is truly in profile, this presents a detection problem that is indicated in the DxO Smart Lighting sub-palette to the right of the tool icon. Define an area of interest in the image. Select the Mode (Slight, Medium, Strong) which best suits your image. Before/after creation of an area of interest on an undetected face. Here we find ouerselves in the situation of part 2 : the face has a preserved exposure, the DxO Smart Lighting acting only on the background. The results obtained with Spot Weighted mode best preserve the ambiance. Spot Weighted mode weights DxO Smart Lighting in the areas of interest. The more areas of interest you define, the more the correction will resemble that achieved by Uniform mode, so we advise you not to define too many areas.